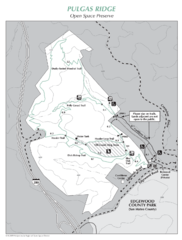 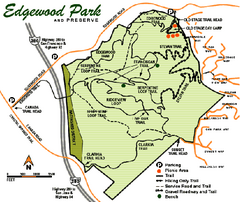 Trail map of Redwood Regional Park in Oakland, California. 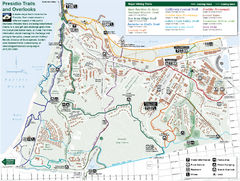 Shows hiking, horse, and bike trails. 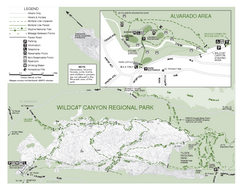 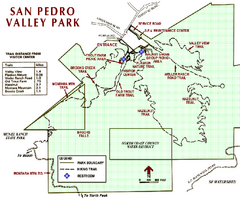 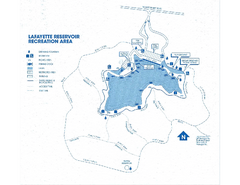 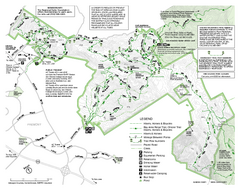 Trail map of the north section of Anthony Chabot Regional Park in the East Bay Hills. 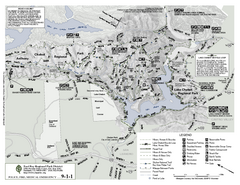 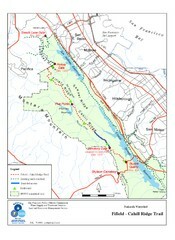 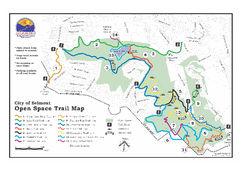 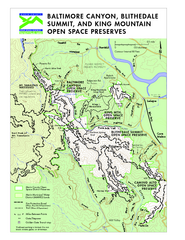 Trail map of Briones Regional Park in East Bay. 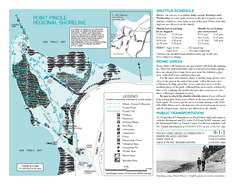 Trail map of China Camp State Park. 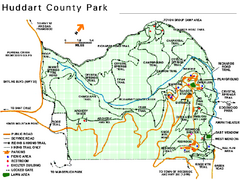 Shows trails by use type and all park facilities. 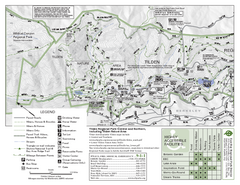 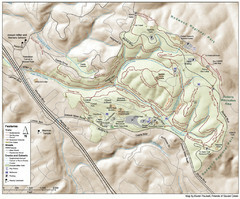 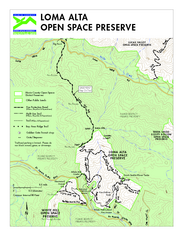 Trail map of Sweeney Ridge, part of the Golden Gate National Recreational Area. 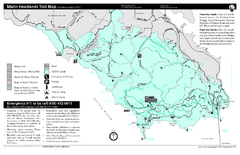 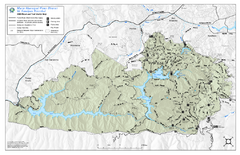 Trail map of the Fifield-Cahill Ridge Trail in the San Francisco Peninsula Watershed. 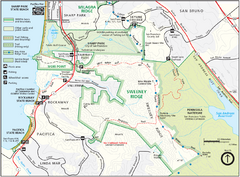 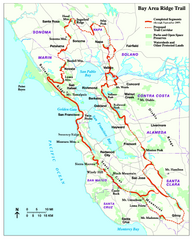 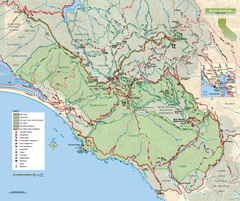 Trail map of mid-county trails in San Mateo County, California. 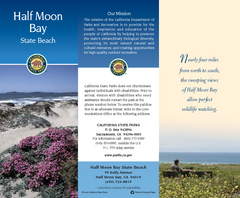 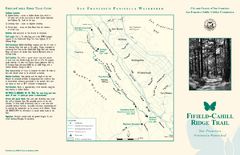 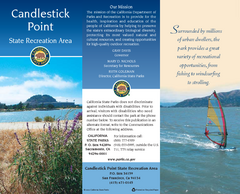 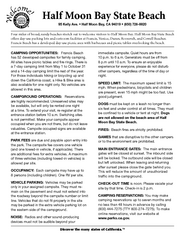 Trail map and brochure of the Fifield-Cahill Ridge Trail in the San Francisco Peninsula Watershed. 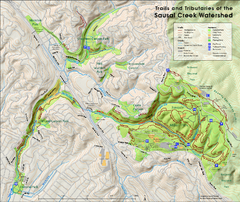 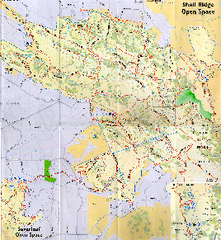 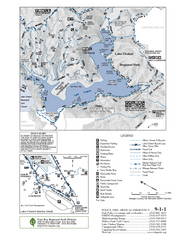 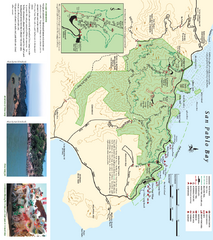 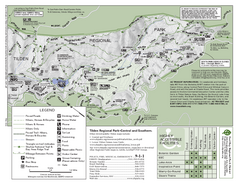 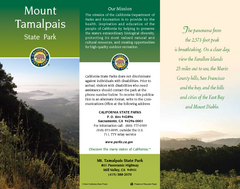 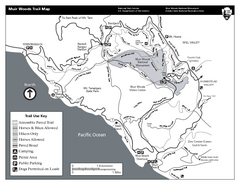 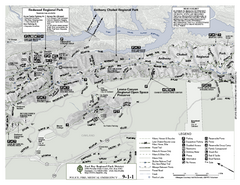 Topographic trail map of Mt Tamalpais State Park in Marin County, California.